I've followed Dr.Hyman for years, watched the Broken Brain docuseries and an thrilled to have discovered the Podcast. As a registered nurse I find this information not only fascinating but completely needed to shift the health of society. The human body is one of the most complex systems on the planet, and not all bodies are the same. Anyone who has struggled on a diet knows that what works for someone else may not work for you. We all have a unique body chemistry that needs to be addressed differently, and, without considering the hidden factors that may be affecting our ability to lose weight, we will continue to struggle. This is what Functional Medicine is all about: looking beyond the basics to determine what is right for each individual. On today’s Broken Brain Podcast, our host, Dhru, talks to Dana James, a triple certified nutritionist, Functional Medicine practitioner, and cognitive behavioral therapist. She takes a rare approach to women’s weight loss by putting self-worth at the center of the conversation. She is the author of the best selling book, The Archetype Diet, which has helped thousands of women improve their self-worth, release childhood shame and find equilibrium in their physical body. She has been featured in The New York Times, Time Magazine, Forbes, Vogue, Elle and Goop and offers a unique perspective on physical body and mind integration. In this episode, Dhru and Dana talk about how you can alter your diet to help feed your unique body chemistry while simultaneously examining how your sense of self-worth shapes your behaviors—including what you eat—in ways that may be working against your goals. They also talk about how the weight loss equation of “calories in, calories out” is inadequate, and how other factors, such as hormones, sleep, inflammation, the gut microbiome, unexpressed emotions, and genes all influence your ability to lose weight and keep it off. For more on Dana James, be sure to follow her on Instagram @danajames and check out her website https://danajames.com and https://foodcoachnyc.com. You also can find her book, The Archetype Diet, right here. With so much conflicting dietary advice, divided opinion, and contradiction, what should we be eating and doing from a dietary perspective? Food is more than just fuel; it's key in helping us live longer, healthier lives, so how do we create practical, delicious meals that are a pleasure to eat but also alleviate a variety of ailments and illnesses? On today’s Broken Brain Podcast, our host, Dhru, talks to Dale Pinnock, a celebrity nutritionist and chef. He has an undergraduate degree in Human Nutrition, a Postgraduate Degree in Nutritional Medicine, and a lifetime in the kitchen. Dale uses the culinary arts as a delivery system for the often confusing science of nutrition. He is the best selling author of 14 books and a regular face on UK Television. He co-hosts the hit show, Eat Shop Save on ITV, going into its 3rd season. In this episode, Dhru and Dale break down the science of nutrition to help us understand fact from fiction and how food truly is medicine for the body. They discuss simple, practical tips for turning the pattern of degenerative disease around. They also talk about how to make the right changes when it comes to our diet without confusion, restriction, or breaking the bank. For more on Dale Pinnock, be sure to follow him on Instagram @themedicinalchef, on Facebook @themedicinalchef, and on YouTube @themedicinalchef. Check out his podcast, The Medicinal Chef's Nutrition Nuggets, here and check out his website https://www.themedicinalchef.co.uk. You can learn more about his monthly Nutrition Coaching program here, and you can find his books, right here. Lastly, check out his TV series, Eat Shop Save. On today’s Broken Brain Podcast, our host, Dhru, talks to his good friend Sarah Anne Stewart, her doctor Suzanne Kim, and her plastic surgeon Dr. Lisa Cassileth. Sarah is a Functional Medicine Certified Health Coach, founder of the Awesome Inside Out Movement, an advisor to international wellness brands, and soon to be Hay House author. Dr. Suzanne Kim is the Medical Director of Infusio in Beverly Hills where she treats patients with chronic degenerative diseases using a whole mind-body approach which includes the application of stem cell-based therapies, genetics, and peptides. Dr. Lisa Cassileth has been practicing plastic and reconstructive surgery in Beverly Hills for over 12 years. Her reputation for repairing failed cosmetic and reconstructive surgeries attracts patients from all over the United States and throughout the world. For more on Sarah Anne Stewart, check out her website www.sarahannstewart.com, and be sure to follow her on instagram @sarahannestewart and on Facebook @sarahannestewartcoaching. For more on Dr. Steven Gundry, be sure to follow him on instagram @drstevengundry, on Facebook @drstevengundry, and on Twitter @drgundry. Check out his podcast, The Dr. Gundry Show, here and check out his websites www.drgundry.com and www.gundrymd.com. You can find his books, Diet Evolution, The Plant Paradox, The Plant Paradox Cookbook, The Plant Paradox 30, and his newest release, The Longevity Paradox: How To Die Young at a Ripe Old Age, right here. In this episode, Dhru and Izabella talk about the standard care of treating Hashimoto’s versus her approach of treating the root cause, as well as the importance of proper testing for an accurate diagnosis. They discuss what nutrients are required for thyroid function and what foods are especially beneficial to those with Hashimoto’s. They also talk about creating healthy habits to help revitalize the immune system, and the importance of community in the process of healing. For more on Dr. Izabella Wentz, be sure to follow her on Instagram @izabellawentzpharmd, and on Facebook @thyroidlifestyle. Check out her website https://thyroidpharmacist.com. You can find her books, Hashimoto’s Thyroiditis: Lifestyle Interventions for Finding and Treating the Root Cause, Hashimoto’s Protocol: A 90-Day Plan for Reversing Thyroid Symptoms and Getting Your Life Back, and her newly released book, Hashimoto’s Food Pharmacology: Nutrition Protocols and Healing Recipes to Take Charge of Your Thyroid Health, right here. Do you ever feel that you spend way too much time on your phone or social media or comparing yourself to others? Many people use social media as a way to connect to one another, but increased use is actually associated with increases in perceived loneliness and social isolation. We want meaningful connections with other people, but we’re not really building them. Technology and media aren’t the problem—it's how we use them, or how we let them use us. For more on Dallas Hartwig, be sure to follow him on Instagram @dallashartwig and @moresociallessmedia, and on Facebook @mrdallashartwig and @moresociallessmedia. Check out his website http://dallashartwig.com and learn more about his newest program, More Social Less Media, here. You can find his books, It Starts with Food: Discover the Whole30 and Change Your Life in Unexpected Ways and The Whole30: The 30-Day Guide to Total Health and Food Freedom, right here. Yoga, in its original form, was created as a science for liberation. In modern times, it is used by many for improving physical and mental health, helping us become more productive at work, more caring in relationships, and more responsible contributors to society and inhabitants of this planet. If yoga does accomplish all that—and many practitioners have experienced this to be true in their own lives—how exactly does yoga do it? How does yoga work? On today’s Broken Brain Podcast, our host, Dhru, talks to Eddie Stern, a yoga teacher, author, and lecturer based in Brooklyn, New York. He is known for his multidisciplinary approach to furthering education and access to yoga, as well as his teaching expertise in Ashtanga Yoga. He most recently created The Breathing App, which guides the user in a paced breathing exercise that balances the nervous system, improves sleep, and reduces stress and anxiety. His book, One Simple Thing: A New Look at the Science of Yoga and How It Can Transform Your Life was just released. In this episode, Dhru and Eddie talk about what makes yoga such an effective practice from a neurophysiological perspective, and how transcendence is wired into our biology. They talk about the mechanics beneath the surface of our bodies and how we can consciously use yogic practices to direct and change our lives in positive ways. They also discuss how what we do—from postures to meditation, from breathing techniques to chanting and to ethical practices—affects who we become, and how a steady routine of activities and attitudes can transform our bodies, our brain functions, our emotions, and our experience of life. On today’s Broken Brain Podcast, our host, Dhru, talks to Amber Rae, an author, artist, and speaker whose work invites you to live your truth, befriend your emotions, and express your gifts. She has been called a “Millennial Motivator” by Fortune and “The Brené Brown of Wonder” by Mind Body Green. She is the New York Times best selling author of Choose Wonder Over Worry: Move Beyond Fear and Doubt to Unlock Your Full Potential. In this episode, Dhru and Amber talk about how to face your fears, wake up to your truth, and get to the source of what’s holding you back. They discuss how to greet worry with wonder, and Amber’s three-step approach for dialoguing with and finding wisdom in your emotions—especially the messy ones—so you can get back to focusing on what matters most. Through a thoughtful blend of vulnerability and soulfulness, Amber Rae guides you in expressing the fullness of who you are and the gifts you are here to give. We each possess an extraordinary power to realize our greatest potential and live the life we want. Dr. James Doty is living proof of that. Having grown up in an environment of poverty and neglect, James Doty was 12 years old when he walked into a magic shop and met an extraordinary woman who introduced him to a series of teachings that changed the trajectory of his life. He overcame great odds en route to becoming a renowned neurosurgeon, neuroscientist, and one of today’s leading voices on the power of love and compassion. On today’s Broken Brain Podcast, our host, Dhru, talks to Dr. James R. Doty, a professor in the Department of Neurosurgery at Stanford University School of Medicine, and the founder and director of the Center for Compassion and Altruism Research and Education at Stanford University of which His Holiness the Dalai Lama is the founding benefactor. He is also the New York Times best selling author of Into the Magic Shop: A Neurosurgeon’s Quest to Discover the Mysteries of the Brain and the Secrets of the Heart. In this episode, Dhru and Dr. Doty talk about how compassion and social connection have a powerful effect on our health, happiness, and well-being. They discuss inspiring teachings to help us master four central techniques: relaxing the body to become present and honor our highest values, training the brain through meditation and mindfulness, opening the heart to foster true connection, and clarifying our intentions as we navigate the journey of our lives. According to Harvard Medical School, stress is an epidemic that is responsible for 90% of all doctors visits. It can negatively impact our relationships and our ability to perform at the top of our game. It's become so widespread that we accept it as "normal" to have insomnia, digestive issues, and chronic anxiety. It’s clear that stress reduction needs to be a part of our personal wellness routines. On today’s Broken Brain Podcast, our host, Dhru, talks to Emily Fletcher, the founder of Ziva Meditation and creator of The Ziva Technique. She’s been named one of the top 100 women in wellness to watch, has taught more than 15,000 students around the world, and has spoken on meditation for performance at Google, Harvard Business School, Viacom, and Wanderlust. Ziva graduates include Oscar, Grammy, Tony, and Emmy award winners, NBA players, Navy SEALs, Fortune 500 CEOs, busy parents, and social entrepreneurs. Her debut book, Stress Less, Accomplish More,was just released by HarperCollins on February 19th. Are you jumping from diet to diet and nothing seems to work? Are you sick of seeing contradictory health advice from experts? Just like the tobacco industry lied to us about the dangers of cigarettes, the same untruths, cover-ups, and deceptive practices are occurring in the food industry. Vani Hari, aka The Food Babe, blows the lid off of the lies we've been fed about the food we eat—lies about its nutrient value, effects on our health, label information, and even the very science we base our food choices on. On today’s Broken Brain Podcast, our host, Dhru, talks to Ocean Robbins, CEO and cofounder of the 500,000-plus-member Food Revolution Network—one of the largest communities of healthy eating advocates on the planet. He is also the author of 31-Day Food Revolution: Heal Your Body, Feel Great, & Transform Your World. In this podcast, we talk about Ocean’s compelling family story of founding and leaving behind the Baskin-Robbins empire in favor of healthy, sustainable, plant-powered eating. We discuss the myths and truths about GMOs, and the problem with factory farming. We talk about Ocean’s food philosophy, and how his diet has evolved over the years to include a small amount of animal protein. We also talk about activism and transforming the industrialized food culture into one that celebrates and supports healthy people and a healthy planet. Toxic mold is more common than you may think. Mold exposure causes a variety of health problems like hormonal imbalances, brain fog, headaches, asthma, fatigue, insomnia, nausea, hair loss, and autoimmunity, to name a few. It all begins with a feeling that something is "off." Around the globe, we are waking up to how many of our ailments and illnesses can be attributed to our sedentary lifestyles. We have been told to move more to resolve our pain or decrease our risk for certain ailments, but we’re not sure where to start. On today’s Broken Brain Podcast, our host, Dhru, talks to Katy Bowman, an internationally recognized biomechanist, author, and science communicator. She also directs and teaches at the Nutritious Movement Center Northwest in Washington State. In this podcast, we talk about the power of movement and how we can transform our bodies, families, communities, and planet, simply by moving more. We discuss how to easily integrate movement into everyday life, and how our cells respond to movement the way they respond to a healthy diet. We also talk about the difference between movement and exercise and the importance of embracing a variety of different types of movement, as well as basic exercises to wake up our trillion body parts. Did you know that the postpartum hormone drop is considered the largest sudden hormone change in the shortest amount of time…and it has a tremendous impact on the brain? With such a dramatic drop in hormone levels it’s no surprise that 1 in 7 women struggle with postpartum depression and anxiety after birth. Why does postpartum depression happen so often, and more importantly, what is the cure? On today’s Broken Brain Podcast, our host, Dhru, talks to Dr. Maggie Ney, a licensed Naturopathic Doctor and women’s health advocate. She is also the founder and director of the Women’s Clinic at the Akasha Center for Integrative Medicine in Santa Monica, California. In this podcast, we do a deep dive into the postpartum experience—from postpartum depression to “mommy brain” to hormonal shifts, and understanding the changes that happen in the brain during the postpartum period. Dr. Ney shares her own health challenges as a young adult and how that inspired her journey into naturopathic medicine. We discuss how the interaction of diet, lifestyle, mindset, and environment affect a woman’s hormones and the aging process. We also talk about the importance of developing an individualized treatment plan that addresses the root cause of hormone imbalances. Once obstacles to health are identified and removed, and the body is given appropriate support and nourishment, optimal health can be obtained. Dr. Ney’s mission is to empower women to understand their bodies and to help optimize their health, so they can live their best lives. When a hormonal imbalance is present in your body, did you know the symptoms can vary considerably? Symptoms can include anything from fatigue, depression, anxiety, weight gain, low libido, hair loss, heavy bleeding, fibroids, endometriosis, PCOS, and more. On today’s Broken Brain Podcast, our host, Dhru, talks to Dr. Shawn Tassone, a board certified obstetrician and gynecologist through the American Board of Integrative Medicine. He holds a medical degree, in addition to a PhD in mind-body medicine. In his 20 years of practice, Dr. Tassone has seen over 40,000 women and is a highly regarded patient advocate. In this podcast, we discuss how to address the root cause of hormonal imbalances, how our hormones impact our brain health, and the importance of not just treating symptoms, but your body as a whole. We also talk about the mind-body connection and how our mindset and spiritual health are even more powerful than the foods that we eat. Dr. Tassone has made it his life’s mission to educate women about hormones and how to balance them through an integrative approach. Did you know that 50% of human DNA is shared with fungi? Not quite plant and not quite animal, mushrooms occupy a pretty unique place in the biosphere. Mushrooms account for 25% of the Earth’s total biomass, and 92% of all plants are dependent upon mushrooms for their survival. When it comes to the idea of food-as-medicine, nothing really encapsulates the concept like mushrooms. Their antiviral and anti-inflammatory properties hold great potential to combat many of our largest health problems. Current research shows that functional mushrooms have a myriad of healing properties such as inhibiting cancer cell growth, balancing excess hormones, and reducing chronic fatigue. The list of vital nutrients found in mushrooms is extensive. With all these benefits packed into one delicate functional fungi, it’s no wonder mushrooms are referred to as the original superfood. There are so many incredible benefits yet to be realized from the fungi kingdom. Tero has dedicated his life to studying the link between health and mushrooms and shares with us how incorporating them into your daily routine can take your health and longevity to the next level. Did you know that Alzheimer’s is a preventable disease? Our lifestyle choices today are extremely important variables, that are clearly connected to our brains destiny. Taking an active role in improving the health of our brain can help prevent some of the most debilitating chronic illnesses we face, such as Alzheimer’s, dementia, and Parkinson’s. On today’s Broken Brain Podcast, our host, Dhru, talks to Dr. David Perlmutter, a Board-Certified Neurologist and four-time New York Times best-selling author. In this podcast, we discuss the latest scientific research and the most effective ways you can maximize your brain’s potential. Dr. Perlmutter talks about how elevated markers of inflammation in your blood today are setting the stage for Alzheimer’s years from now, and how leveraging lifestyle factors can pave the way for a healthier brain. Chronic degenerative conditions are the number one cause of death on the planet. The proactive steps we take today can safeguard ourselves against cognitive decline and neurological disease. We can change our destiny by making better choices, and Dr. Perlmutter tells us exactly how to do that! On today’s Broken Brain Podcast, our host, Dhru, talks to Dave Asprey, founder and CEO of the Bulletproof movement and company, and one of the pioneers of the modern biohacking movement. In this podcast, we discuss and dive deep into some of the top lessons Dave covers in his new book, Game Changers: What Leaders, Innovators, and Mavericks Do to Win at Life. Dave talks about gratitude and what exactly happens in our brain when we practice it and why it is the ultimate biohack. He also talks about how winning in the bedroom is an important part of life, as well as intentional orgasms and how they impact the brain. Dave shares the importance of community and surrounding yourself with people who have similar values and can help you reach your goals and bring more joy into your life. Sugar. It’s the one ingredient that so many of us have an unhealthy love affair with that we can’t quite figure out how to give up. It’s in practically everything that is packaged and in many restaurant meals. Sugar is one food that UK-based nutritional therapist and Functional Medicine practitioner Angelique Panagos credits with her many health issues, including hormonal imbalances that caused years of pain and suffering for her and her family. Dr. Michelle Peris is the founder of The Poppy Clinic based in Toronto and the creator of Rebel Tribe, a community based health initiative designed to bring more connection into the lives of women. Every day when we wake we are given a new opportunity to be our best selves—to be present for our loved ones, do the work we are meant to be doing, and feel at peace. However, in our day and age, technology is a part of every waking moment, that cell phone alarm that wakes us up can hijack our mornings, starting us off in a panic, and prompting us to seek out what has happened in the news overnight or who needs something from us. When Dr. Drew Ramsey, clinical psychiatrist and Columbia professor, bought a small farm in rural Indiana, he learned more about food than just how to grow a tomato (albeit, he grows one fine tomato!). He learned that putting our hands in the soil is therapeutic, that there is nothing like picking ingredients from your garden and assembling a meal for your family, and much more. Have you ever wanted to be a more relaxed and less anxious person...someone who bounces back after setbacks that we all face? Someone who can take deep breaths in the midst of a stressful day and not react when something upsets you? My life is full! I am often running from morning until late at night, and I could not do it without meditation. My twice daily meditation practice is what actually gives me the reserves and the presence to accomplish everything I need to in one day. Today, we learn all about the inner workings of the brain, why we get anxious, and how meditation can help with neuroscientist, psychotherapist, and Muse co-creator Ariel Garten. Dhru and Ariel start off by getting real about mental health—it’s something we ALL need to deal with—no stigma here. It’s a part of the human condition. For all the moms out there, Ariel shares her story on postpartum depression and the anxiety she faced after having her son. This episode is full of rich pearls to teach you about our precious organ, the brain; to encourage you to try meditation (even if you think you can’t do it); and even offer tips on how to incorporate meditation in your workplace or family life. Are there things happening in your body that you can’t see? We were all born with the genes that are code for everything in our physical bodies and even account for some personality traits. Genes determine hair and eye color, sleep patterns, how you detoxify, food sensitivities, and so much more! Some genes have what are called SNPs and that’s when things can get complicated. Finding out if you have SNPs, and what they are, is important. Even though there are strengths and weaknesses to having SNPs, there are practical things you can do to support the genes you have so your body can function better—right now and in the future. Today, our Broken Brain Podcast host Dhru talks to genetic expert and Naturopathic Doctor, Dr. Ben Lynch, author of the best selling book Dirty Genes. Dhru and Dr. Ben discuss what dirty genes are and how we can clean them up! Dr. Ben shares his personal genetic testing story and how he manages with a SNP in his MTHFR gene. You’ll get to hear Dr. Ben’s advice on finding a doctor who knows how to work with genetics and so much more. As a Functional Medicine doctor, Dr. Bhat is always interested in finding the root cause of issues, so you’ll also get to hear her perspective on how fascia may impact digestion and brain health. And, finally, if you want to hear some practical tips on things you can do to support healthy fascia in our daily lives, listen to the end! What kind of person would you be if you were calmer, more centered, kinder, and relaxed? Do you think you would feel better about yourself and your relationships with others...make different decisions...be more loving? The golden ticket to living your best life is within reach for every single human, and, best of all, it's free. Today, mindfulness expert, psychiatrist, and professor Dr. Dan Siegel and our host Dhru have a noteworthy conversation about the awareness the brain is capable of, including tips on implementing the Wheel of Awareness as a daily practice, and how that can impact our lives from day to day and also in the long-term. Starting with an awareness practice, this conversation is one you’ll want to be present for. Dr. Siegel also describes how the attention we give to certain thoughts can stimulate new neural connections, the science behind the changes in the brain when one is aware, and even gives you a glimpse into his daily awareness routine. Have you ever wondered how vision plays a role in the health of our bodies and our brains? Problems with our eyes can give us clues to what is going on inside—and, conversely, problems with many activities may be a result of compromised eye function. What you may not know is that using a treatment called vision therapy may improve so many things such as ADD, head injuries, reading comprehension, posture, throwing a ball, and much more. Today, our host Dhru sits down with optometrist Dr. Fabian Tai, whose specialty is vision therapy. Vision therapy takes a different approach to vision, the eyesight, and the brain using a variety of tests and exercises to help strengthen and retrain the eyes. Today, host of the Broken Brain Podcast, Dhru, sits down with Dr. Naim from Hope Integrative Psychiatry and La Maida Institute in Los Angeles, CA to discuss many topics that penetrate us to our cores. They discuss the nature of community and why it’s important, including how Dr. Naim has ditched his car and has become comfortable asking for rides from time to time. They also dig into the controversial topic of treating depression by using a variety of modalities - and digging into the root cause of the depression - rather than using medications alone or as the only option. Are you still frightened by saturated fat? Do you think it will cause a heart condition? Dr. Will talks about that myth and also provides an in-depth look into the functional medicine tests that will be the true litmus test to know if you should be concerned about a heart condition or impending stroke. Get your pencil and paper handy! Dhru and Dr. Will also cover much more in this podcast including the challenge a lot of people have with grains and legumes, how to empower your kids to eat well, and if and how much alcohol is OK. Are you curious? Tune in to listen! Dr. Tom O’Bryan, this week’s guest on The Broken Brain Podcast, is often found buried under scores of the latest scientific journal articles. Whether he is immersed in gluten sensitivity, leaky brain, effects of EMF, or molecular mimicry, you can be sure Dr. Tom has investigated it from all angles. Have you ever thought about the electronics that are plugged in at your house—especially in your bedroom? One of Dr. Tom’s patients found that just unplugging her alarm clock stopped her seizures. What else is happening to us from the electromagnetic fields surrounding our televisions, computers, or iPhones? Learn more about what Dr. Tom has found that is happening to our brains from exposure to these fields. Host of our podcast, Dhru Purohit, has a very lively discussion with Dr. Tom, who sees a real need for us to make changes now to improve our health. Dhru and Tom cover toxins that are impacting our brains, the four different immune systems in our bodies, molecular mimicry, and much more. There’s a lot to think about here, but as Tom says—if we commit to learning something new every week then we can take steps to improve our health. Your mouth is a part of the body that is often overlooked as the gateway to health problems. By educating ourselves, we can make better choices that will impact our health right now—and for years to come. The Broken Brain Podcast is a place where you can come to listen about any and all topics that impact your brain and your overall health. Today, my partner and host of The Broken Brain Podcast, Dhru Purohit, talks to biological dentist and surgeon Dr. Rouzita Rashtian about topics that are controversial and misunderstood such as silver fillings, root canals, and fluoride. What is really happening as you chew or grind your teeth that have silver fillings? When you kill the nerve in your tooth by doing a root canal, are you really removing the risk for future trouble, or are there other ways to treat persistent tooth pain? What about fluoride? Why does the ADA still promote fluoride usage even though we have data showing it’s a neurotoxin—and there is no developmental need for it? In addition to these big topics, Dhru and Dr. Rashtian discuss the proper way to brush and floss, the deal on mouthwash, and if breastmilk from overnight feedings causes tooth decay. 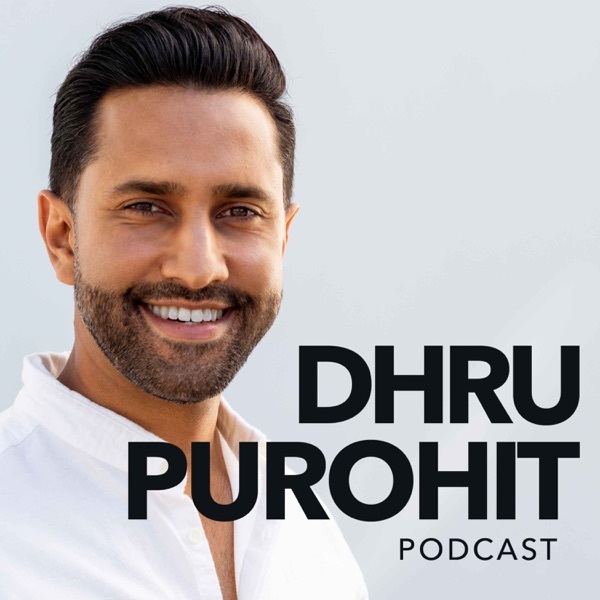 Dr. Vincent Pedre, gut guru and author of Happy Gut, talks with our Broken Brain Podcast host Dhru Purohit this week on the topic of gut health. They cover a wide range of fascinating topics from the simplest questions such as “Why is it called the gut?” to more complex topics like the role of butyrate in the gut to create new neural connections in the brain. Dr. Pedre talks about how the gut and the brain are connected, the gut’s role in detoxification, how colon hydrotherapy works, and so much more! Have you noticed that some people can have a mouth full of cavities, while others don’t? Which category do you fall in? If you think that brushing and flossing alone will prevent cavities, you might be interested in hearing about the myriad of other ways we can have good oral health—and how a healthy mouth contributes to a healthy body. We’re taking a short break from our regular Broken Brain Podcast episodes and sharing the full-length interview I did with Dhru for our Broken Brain documentary series. It will take you through all the details about how my health suffered and all the things I learned along the way. I will give you an in-depth look at how I healed and all the things you need to know about your own brain such as the importance of certain nutrients, how the brain changes, why chronic inflammation plays such a big role in disease, how toxins impact us, and much more. We use our muscles every day—from our brain to our quads—for the smallest and the biggest tasks. Muscles make up an impressive 45% of our body mass. Did you know that muscle is an endocrine organ and regulates metabolism? Did you know that using your muscles actually can help reduce systemic inflammation? If inflammation is implicated in so many diseases, then how do we know we have chronic inflammation? And, once we find out we do have it, how do we know where it’s coming from? Dr. Boham devotes her life to helping people in a way that few others can—as a cancer survivor. And, because of her experience working through this disease and healing herself, she was the first person that Dhru turned to when his mom was diagnosed with breast cancer. She is now healthy, thriving, and cancer free, thanks to Dr. Boham and her compassion and guidance. Dr. Boham also talks with Dhru about inflammation, including how to determine if you have it and places to look for it. She shares how she uses nutrition and other lifestyle modifications to turn her patients lives around every day, and so much more! Have you, or a loved one, been on a destructive path, and wondered how on earth are things going to change? Our good friend and Functional Nutrition expert Mike Mutzel opens up for the first time here on The Broken Brain Podcast about his experience as a child and young person doing drugs, stealing, and being on a path that was going nowhere fast. Mike shares with our host and executive producer of the Broken Brain docu-series, Dhru Purohit, how he pulled himself out of the deep dark hole of depression and turned his life around to be a Functional Nutrition scholar, interviewer extraordinaire, and social media master. Dhru and Mike cover a wide range of topics in this episode including insulin and leptin resistance, why you want to reduce your body fat, the benefits of time-restricted eating, what plays a role in good health, and much, much more! It’s incredible how loved ones change our lives and inspire us to help others. Max is testament to this and wants to share all he’s learned with you. Dr. Rupy Aujla, host of The Doctor’s Kitchen and Broken Brain docu-series expert speaker, explores the topic of food with Broken Brain Executive Producer Dhru Purohit in this recent episode of The Broken Brain Podcast. They cover everything from how food choices are contributing to sickness earlier in life to moving beyond barriers to healthy eating. If you think healthy eating has to be time consuming, Dr. Rupy will share with you how he pulls together brightly colored meals in under ten minutes. Or, if you are on a budget, like so many of us, Dhru and Dr. Rupy talk about the true cost of eating organic fruits and vegetables. In this sixth episode of The Broken Brain Podcast, Executive Producer of Broken Brain and host of this podcast, Dhru Purohit, talks to our friend Dr. Chiu about his approach to brain health and recovery from brain injuries. You’ll hear about his personal story, what happens to your brain when it’s injured, why there is a gut-brain connection, which diet is best for brain health, and so much more. If you are interested in learning about the best approach to healing after a brain injury, or just how to protect your brain in day-to-day life, check out this informative podcast. In our fifth Broken Brain Podcast, our Broken Brain executive producer Dhru Purohit sits down with the author of The Paleovedic Diet and Functional Medicine practitioner, Dr. Akil Palanisamy (“Dr. Akil”) to talk about the ways in which Ayurvedic practices can promote a healthy brain and body. Dr. Akil covers many helpful Ayurvedic topics, like what spices to include in your “Kitchen Pharmacy”, the connection between the gut and brain, if dairy is the right choice for you, social connection, and much more. Dr. Akil also shares his recipe for Saffron and Turmeric Spiced Milk. In our fourth episode of The Broken Brain Podcast, Dr. Minich and host Dhru Purohit discuss the relationship between food and mood, and how what you eat can increase your creativity, curiosity, imagination, and well being. Improving your day to day life could be as easy as adding colorful foods to your shopping cart the next time you go grocery shopping. Dr. Robin Berzin, Founder and CEO of Parsley Health, sits down today in our third Broken Brain Podcast to talk to Broken Brain Executive Producer and my CEO, Dhru Purohit, about the pros and cons of these dietary approaches, plus functional lab testing that can provide inflammatory markers, and so much more. Dr. Berzin also goes in depth into what biohacking is—which she describes as “principles and practices to help achieve optimal health”—and shares with you her favorite biohacks. If you’ve been curious about functional lab testing and which tests to ask your doctor for, this is a great podcast for you to listen to! There are many other pearls of wisdom that you can incorporate into your life right now to improve your health, or feel even better than you already do. Dr. Berzin has a gift for explaining complicated health issues in simple ways, so that they become easy-to-understand, approachable, and even interesting. When we take the fear factor out of health, amazing things can happen. This week the executive producer of Broken Brain, Dhru, talks to Emily about how meditation can be life-changing. A regular practice can literally change the chemistry and biology of your brain as well as positively affect your relationships and your work. We’ll learn how meditation can actually give you time back, how it relaxes your central nervous system, can reduce effects of jet lag, is very helpful to new parents, and much more. Dhru Purohit, executive producer of Broken Brain, sits down with our good friend and Functional Medicine colleague Dr. Rangan Chatterjee of BBC’s Doctor in the House to talk about how food, mood, sleep, and relaxation can be applied to conditions that affect brain health, such as anxiety. Dr. Chatterjee has a deeply personal conversation with Dhru about his son’s health, how lifestyle contributes to chronic disease, and gives many tips on how to go from feeling sick to feeling fantastic. This is a conversation you won’t find anywhere else!